We craft one adventure per day just for the small group on board and the unique goings on in the City that day. You will leave the double-decker buses behind to explore the classic landmarks of SF plus its secluded stairways, secret views, outdoor art galleries and more in a 12-passenger "woody". 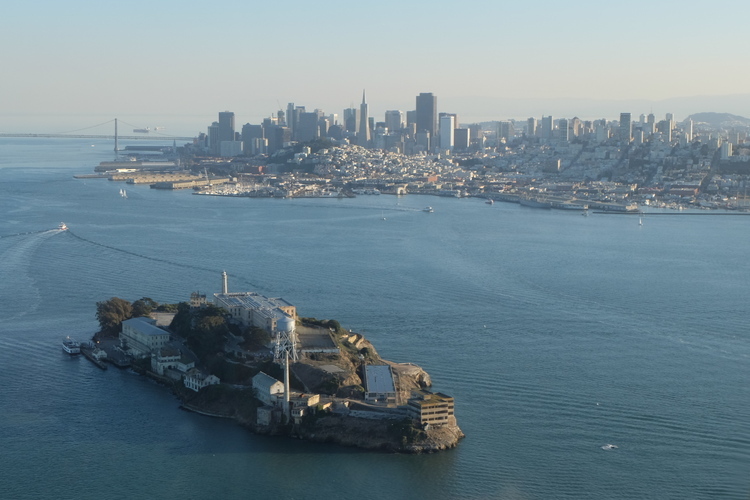 Your city tour will end at Pier 33 where you will board the Alcatraz ferry to go on the island and in the prison for the cellhouse audio tour, "Doing Time"
Delivery to the Alcatraz ferry landing after your tour for a ferry on to Alcatraz island. Breathtaking views and photo ops galore! *Please note, Alcatraz ferry tickets cannot be purchased separately. We require the name of all passengers planning to visit the island and all guests 18 and over must show government-issued photo ID (driver's license, passport, etc) in order to pickup tickets. Package price includes Alcatraz ticket price ($39.90 for adults 12 and up, $23.00 for kids 5-11, no ticket needed for kids under 5).